Bolstered by continued traffic growth and lower fuel prices, Southwest Airlines announced a record first-quarter profit of $511 million on Thursday, a 13 percent increase compared to last year that exceeded analysts’ expectations. The Dallas-based company also said it plans to accelerate the retirement of its “Classic” Boeing 737-300 fleet to be complete by third quarter of 2017, compared to the previously announced target of 2018. The $511 million profit translates to $0.79 in earnings per diluted share and an operating margin of 19.7 percent, excluding special items. Southwest shares rose 68 cents, or 1.45 percent, on Thursday to close at $47.73. Southwest saw its fuel bill drop by $25 million, which helped temper an overall increase in operating expenses of 6.8 percent to $3.9 billion, largely driven by increasing employee costs that included new collective bargaining agreements with two of its unions. 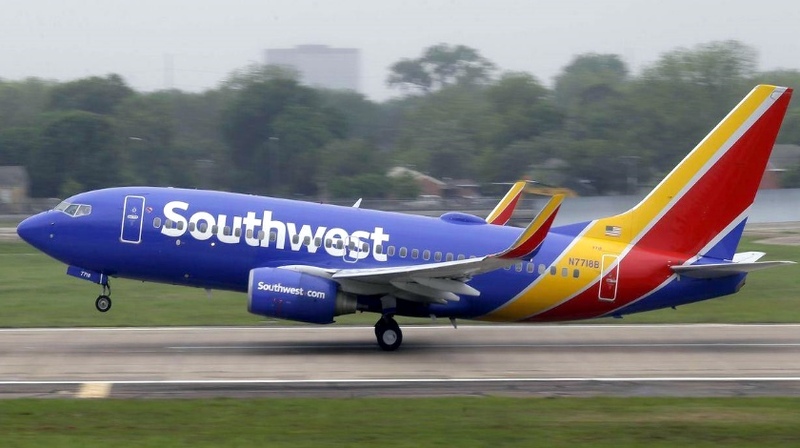 Total operating revenues were $4.8 billion, a 9.3 percent increase and a first-quarter record for Southwest. Operating revenues kept pace with the continued growth of the airline, which increased its capacity by nearly 10 percent year-over-year. Southwest was able to match that with more passenger traffic, leading to a record first-quarter load factor — a measure of how full a plane flies — of 80.5 percent. But like other airlines, Southwest saw a slight deterioration in a key measure of how much passengers pay per mile flown, which fell 3.6 percent, in part reflecting a drop in fares amid increased competition in some areas of the U.S.
That drop was partially offset by $125 million the company brought in through changes to its co-branded credit card agreement with Chase Bank, leading to a slight increase in overall unit revenues. Company executives told analysts they expect positive unit revenue growth in the second quarter due to strong demand amid an increasingly competitive aviation landscape. Southwest’s decision to accelerate the retirement schedule for 50 of its its 737-300s poses a slight speed bump that could slow capacity growth toward the end of 2017, but executives don’t expect it to have a long-term negative affect. Kelly said the company made the decision as a way to simplify operations and avoid potential complications with Federal Aviation Administration training requirements to operate both the Classics and the 737 Max, the first of which will join Southwest’s fleet next year. Southwest’s earnings announcement comes after Delta Air Lines and United Airlines reported first-quarter profits of $946 million and $313 million, respectively, over the past week.